The Italian bidder for the $35 billion SEA 5000 project, Fincantieri, has written to all federal members of Parliament to spruik its offering for the Future Frigate project. 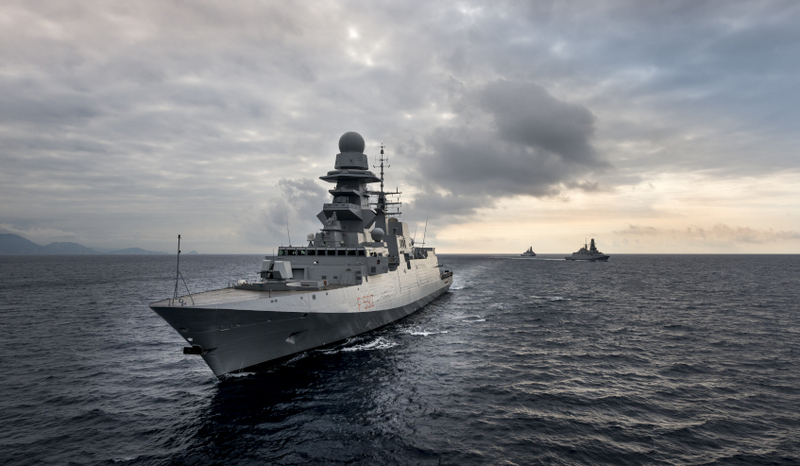 In his letter to MPs, chairman of Fincantieri Australia Dario Deste said its offering, the FREMM, is the most advanced offering for the Australian project and has already proven its success in the Italian Navy. "For Australia we offer the world’s most advanced and only proven FREMM Anti-Submarine Warfare Frigate and a sovereign naval shipbuilding industry for Australia’s domestic needs and for export," the letter reads. "The FREMM has already been built to time and budget for the Italian Navy and has successfully tracked unco-operative submarines in real world operations. We are very proud of the fact our design performs to the demanding specifications of anti-submarine warfare and no other shipbuilder worldwide has bettered the proven performances of the FREMM." The FREMM is up against BAE Systems' Type 26 Global Combat Ship, which is currently being built for the Royal Navy, and Navantia's F-5000 design, an evolved design of the Air Warfare Destroyer. Deste said the vessel also offers potential enhanced co-operation with Australia's ally the US, with the vessel included in the US Navy's frigate competition, FFG-X. "Further endorsement of the FREMM is the US Navy’s selection of Fincantieri’s American shipyards for inclusion in the next generation frigate competition (FFG-X). This program commences in 2020 and places in prospect Australian and United States co-operation in anti-submarine warfare with the same FREMM frigate technology," Deste wrote. The letter from the chairman also talks up the company's involvement with Australian industry since joining the tender process in 2016 and highlights the offerings of its industrial capability plan. "Since joining the tender process nearly two years ago, Fincantieri has established local business operations in Adelaide and is ready to commence the project if selected. We are building cruise ship sections with local South Australian businesses, manufacturing ship thrusters in Western Australia and have research and development activity underway with universities and industry bodies and in additive manufacturing (3-D printing) in Victoria," the letter reads. "In preparation of the construction phase of the frigates we have engaged 400 Australian companies and already 20 have been qualified as ready to start. We have identified candidates to join our initial Australian workforce training programs in Italy and we have entered an MOU with Australian trade unions. "Our industrial plan goes beyond building the frigates in Adelaide. We propose to transfer the complete technology and know-how needed to design ships and manufacture ship equipment and systems into Australian companies. This industrial program spans a decade and provides for new digital and physical tools, factories and training. Starting immediately, we propose to build a new mechanical and electrical equipment integration facility adjacent to the Adelaide shipyard to integrate heavy engineered items such as main shafts, gearboxes and propellers." Fincantieri has also committed to listing as a local company on the ASX. A decision from the government is expected in the next month.